1. I have a 3D ISO file from Arbortext IsoDraw 7.1 M070, which contains some 3D assembly. 2. I upload this 3D ISO file into Creo View MCAD 1.0 M030, and then save it in a PVZ format. 3. 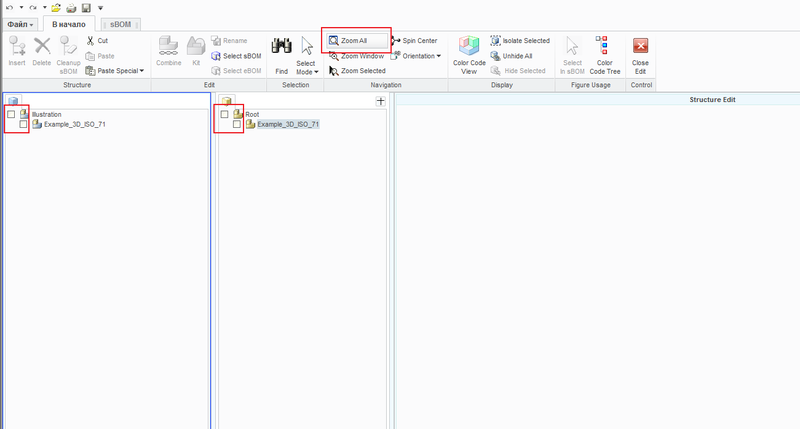 If you try to import the PVZ file into Creo Illustrate 1.0 M030 (by using "Import" -> "Embed" option) it displays only the structure of the assembly, but does not have the 3D model in the working window . But at the same time, the PVZ file can be opened in Creo View Express, and everything is OK here. Is this a bug? Please you should select the box, then click Close Edit. I know about that, but the structure of parts are not selectable/not active (chek-box is not active when you click on it). I tried to work with this file in WinXP (SP2 and SP3) 32-bit, Windows Vista Business 32-bit (SP2). You can also try importing this PVZ file, because it is attached to my previous message ("Example_3D_ISO_71.pvz.zip"). Thanks. In that case I suggest to create a case. Our support needs to check the files. "Even though Creo View can display this 3D IsoDraw file, the IsoDraw date is not parsed and interpreted by Creo View. It uses an embedded IsoView control to display the 3D IsoDraw file. Such a file can be used for viewing purposes only. IsoDraw's 3D format in not intended for further processing in other applications. It is an intermediate step on the way from a 3D illustration to a 2D illustration. As it cannot be interpreted for further processing by Creo Illustrate it is not displayed there. From looking at object names of the 3D ISO file it appears as if the original source CAD system could have been Pro/Engineer. 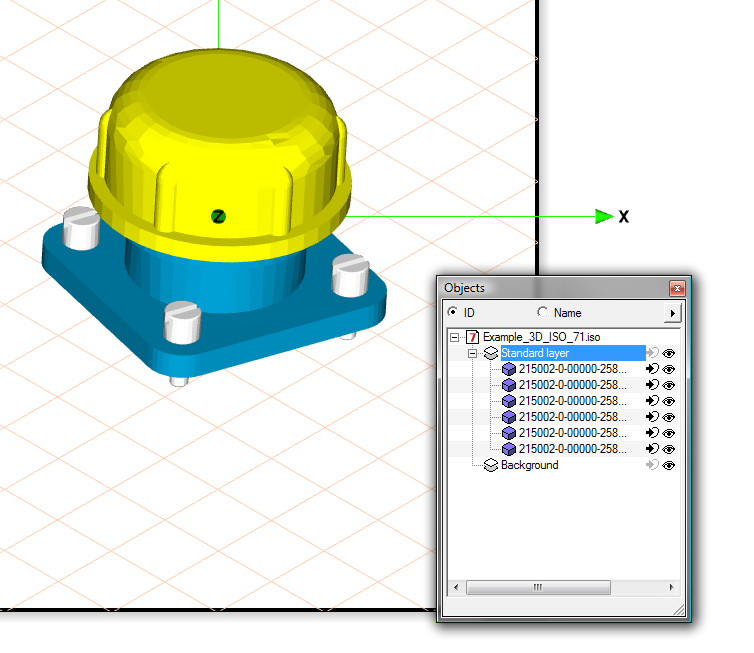 In this case Creo Illustrate could natively import the source CAD data. That would be recommended way to proceed."